This is a book I discovered and fell in love with this year. 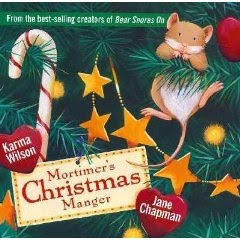 It's a sweet story about a mouse who finds a new house and learns what Christmas is all about. 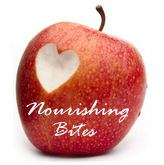 A little girl named Sophie sets out to discover what line of business her Auntie is in. Along her journey she finds out for herself that it is better to give than to recive. We love this book. It's cute and clever. 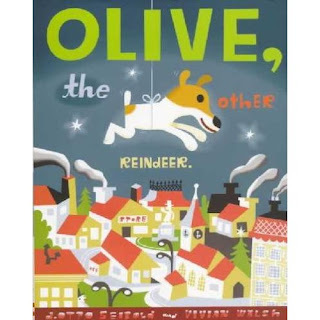 Olive is a dog, but when she hears a familiar Christmas song on the radio she decides she must be a reindeer and heads off to the North Pole. 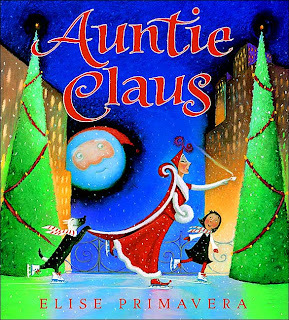 This is a lovely Christmas tale about sacrifice, service and love. It will warm your heart. Mom gave us Mortimer's Christmas Manger... it IS really cute. 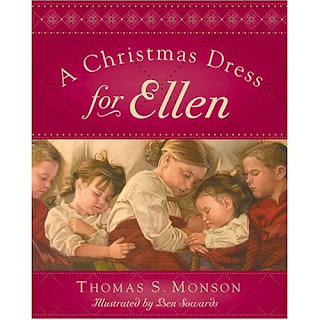 I've always loved A Christmas Dress For Ellen too.